We are now coming into another power cycle of lunar activity with a partial Solar Eclipse occurring on Sunday, September 12th at 11:42 PM Pacific, September 13th at 2:42 AM Eastern, and 6:50 AM GMT (9/13/15). This New Moon occurs within Virgo which represents our physical self in work and health matters. 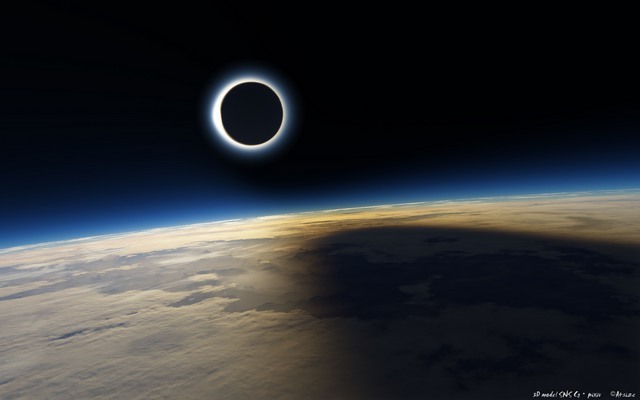 The eclipse is about new beginnings and how we institute the changes to create the new way of living that we have formulated through our Spiritual Self. It takes the energies of the Full Moon we experienced just two weeks ago in which our Spiritual Self was blending within our Physical Self. This energy takes that pathway into a deeper part of our existence as we ground the elements that we have been desiring to create. This energy is truly helping our pathway of accepting our spiritual self to become more involved within the outer self. I believe we can call this cycle Self Mastery in a new and different way as we look to the ways our lives were previously and what we have needed to change in order to find a deeper meaning from the Higher Self. It will assist in allowing the Higher Mind to blend with the Lower Mind so that the little details of elements that can cause confusion and doubt to be open to new possibilities within our existence. Through this new exchange of energy it is important not to get bogged down with the nagging thoughts that can create uncertainty of what we are creating to occur within our physical pathway. It is a time to give up elements that stand in your way and move forward with courage through the doorways of opportunity that will present itself. This creates the “act of surrender” to be very predominant in our lives. If you look at the way you have been doing things previously in your life and see that something is not flowing within your pathway, then this is the time to make the necessary steps to change. 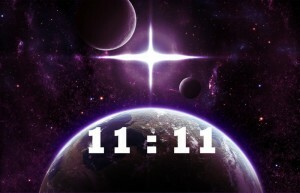 As we move forward through the cycles towards 11:11, we are walking through new doorways continually. This energy of the Solar Eclipse is pushing is to be more, do more, and act upon those elements within our lives. Through this phase it is important not to let the energy of Virgo take you too far into your mental thoughts, as that can be a downfall. The important element is to allow your Spiritual Self to guide your mental body into the flow and ease of the change. These changes may occur through a change in your physical body, your work environment, or personal details in the way that you perform your daily activities. The flow must come from the Spiritual Self so it is important to take time with your breath, connect with the higher essence that you are, and command within yourself that this transition will flow like the tides of the Ocean. It is a very powerful time to take inventory of the self, see what needs to be adjusted, and allow the changes you have been occurring to happen with the ease and grace within the Light that You Are. Try not to be critical or self judgmental but flow with each moment; use your intuition to allow your Higher Self to help you through this phase of change. I believe these energies are occurring for us to help us through the next phase of our evolving light upon this Earth. This energy can be felt for the next six months so it will take us into the next phase of our physical self being more activated with our Higher Essence. Some suggestions would be to access your higher self energies through your breath. Then go into your Emotional and Mental Self; write down any elements that you want to change or issues that are bothering you. Utilize your I AM Presence to fully help you to feel the Love that You Are. As your I AM to take care of the problem for you; be specific and state what areas need addressing. Call upon any Ascended Masters or Beings to assist you through this process. You can create a ceremony for yourself to remove the elements that may be bothering you. Allow your Spiritual Self to be part of your existence and ground their energy into your Earth Star. Be One with this essence as it is you. If you are still having issues, then write affirmations to change your thoughts into positive energy within your chakras. Breathe through them and call upon the Rays of God to assist. The Blue flame is essential to command your Will to Do, then utilize the Pink Flame to bring forth God’s Love, expand it with the Gold Flame of the Power within your Christ Consciousness to become One Unified Being of Light. Most of all, whatever you are desiring to manifest this is the time to do so. Command and Demand from your I AM Presence that this manifestation will be created within your outerself. Be strong in your conviction to change what is not working for you. Enjoy the changes and the ride of adventure as a beautiful Being of Light upon this Earth. Many blessings for a beautiful New Moon experience. During these times of high acceleration, it is important to reflect within yourself of the changes that are occurring in your four body system. Our emotions and thoughts are going through a tremendous overhaul so that we can find the totality of our I AM Presence more fully within our physical self. This process of healing takes time and great patience. 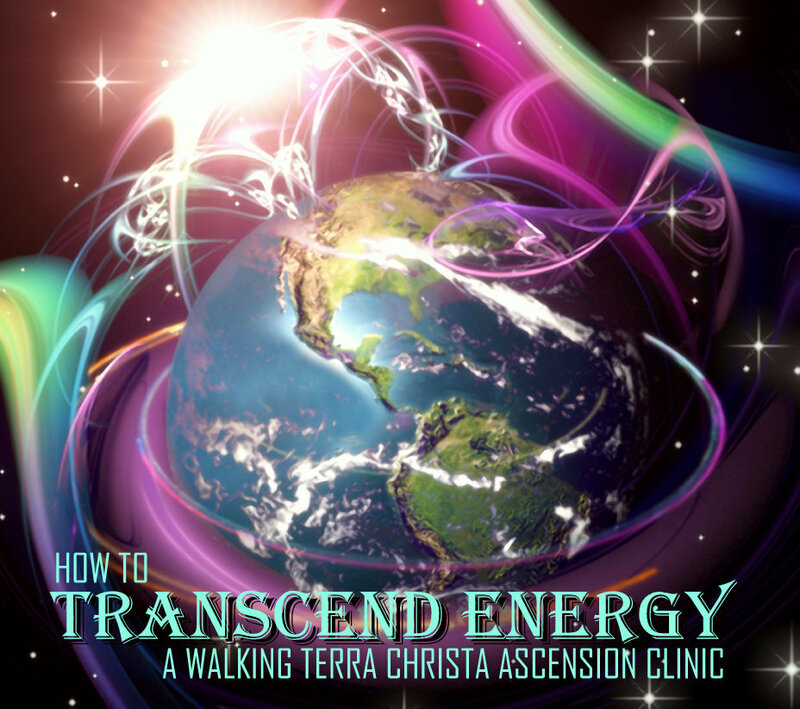 Walking Terra Christa provides a special program, called Partner/Members so that individuals can take advantage of the teachings and help that is given in their classes. If you would like to receive assistance and guidance through the experience that both Mel and Mike provide with the ability to move through many doorways, please check out their latest offer in the link provided. 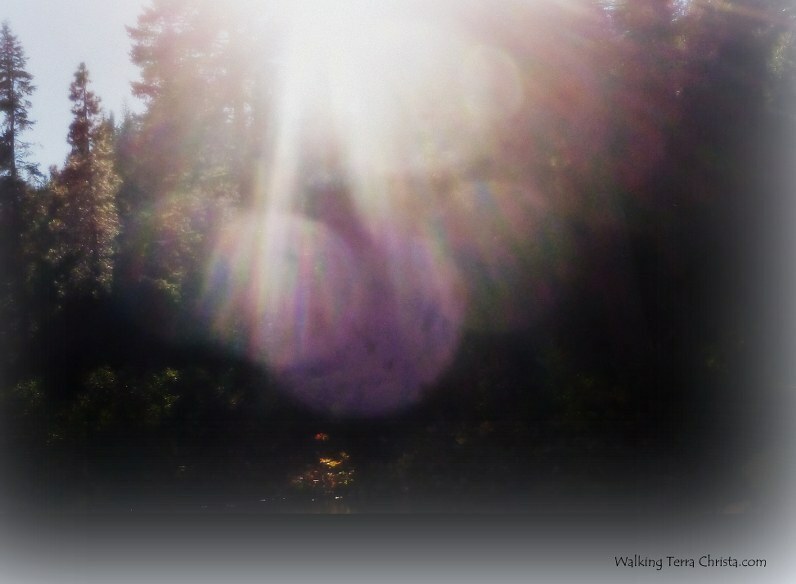 ©2012-2015 Walking Terra Christa Academy of New Earth Mastery http://walkingterrachrista.com/ by Rev. Christine Meleriessee Hayden and Rev. J. Michael Hayden (Ara). Permission to repost this information electronically on your non-commercial website or blog is granted as long as you include this copyright statement and the following referral links. Use for commercial websites, blogs and printed or written reproduction requires written permission. Today is the remembrance of 9-11. I think that every human upon this planet has their views of what occurred along with moments of reflecting on how this day changed our lives not only in the United States but around the world. My role today is not to talk about how or why it happened. Instead I want to convey the healing that has occurred since that time as many of you know I had my own personal experience indirectly related to the souls that perished on that day, the healing that has occurred since that time, and the growth that we need to continue in order to bring forth the best experience for each of us on this Earth. It is important for each of us to hold the Light as high as possible especially during times of great transition. As teachers of what Ascension in planetary form means, we now know that we all need to create the Light forms continually to help those that cannot do so. 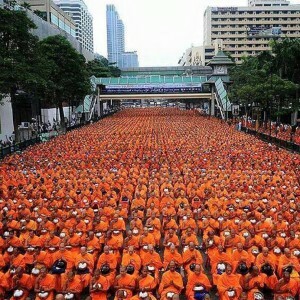 A great reflection for us is what the Buddhists achieved after the bombing in Bangkok last month by gathering together at the site where the tragedy occurred. They truly have brought in the power of ONENESS to change the energies. This is exactly what we (humanity) need to do all around the world. It is happening but we need to increase our desire for Love and Peace by connecting directly with the Power of It Occurring. Today as I write this (Spet. 11, 2015) Space Weather.com announces that there is a very powerful GEOMAGNETIC STORM occurring. A stream of solar wind hit Earth’s magnetic field on Sept. 11th, sparking one of the strongest geomagnetic storms of the year with auroras being seen in multiple US states. This truly represents Higher Octave Light Intensity changes are occurring within the Earth. We have to look at the fact that changes are occurring within this earth, on the planet and with everyone. On days like today we must look to the Good to move away from the pain that we have endured. It will never be forgotten in any way as it has helped us to realize how precious life is on the physical plane and nothing should ever be taken for granted. Our goal at Walking Terra Christa on this day is to share the Love of the Clarion Temple of Oneness. This is our weekly meditation journey that was started after the Twin Tower tragedy with Archangel Michael as my guide. It is important for us to reflect on the healing that has occurred since the inception of this temple. It is a honor that I was chosen to bring forth these energies of love with light. It has changed my life completely in so many ways. The Clarion Temple of Oneness is guided by Archangel Michael to assist all souls to heal their physical experiences; it helps to remove karmic ties to allow a soul to continue on the journey of their Divine Soul’s purpose. We have a spokes-being who was a Fire Chief Battalion in New York City at the time of the Twin Tower Tragedy. His name is now Yametleus as he has now aspired to his Higher Self. I introduce to you Yametelus, who wants to share his own story for this day of healing. Blessings and love to each of you on this day. I am Yametelus and am deeply honored to be with each of you in your hearts as we connect with each other. My role within the Temple is something that I would never have fathomed in my physical life. I was a very simple man, loved my family, and most of all, my job of helping others in my role as a fireman. My memories of that day have been put into wholeness so the depth of my pain is no longer there. I have been able to heal so very deeply in ways that I could never have imagined. Many souls on this day have gone through a tremendous healing. As I sit in the Clarion Temple which resides within the 36th dimensional frequency I am able to reflect on what this journey means to me personally but for all of Creation. I also like to consider what our lives would have been like if we had not been so rudely taken away from our physical world. Would I understand the Universal Consciousness as I do now? Unfortunately, sometimes a traumatic event has to happen to wake us up to a new reality. I recalled the moment of my transition when Christine came into the darkness that so many of us were being held in. Her light was so bright as she communicated to us that it was okay to move into the Light that she held. It illuminated my world so deeply as many others felt the same. Many did not experience this moment, and we are still working together to help them to move into a higher space of contentment. As I traveled with Christine, she introduced me to Archangel Michael, who as a Christian I knew very well. I was deeply confronted with such peace and love that I knew I was in the right space even though my heart was still with so many others and my family that I left behind. Archangel Michael helped me to realize how powerful my journey would be for the Earth if I took care of myself in that moment. I felt he was my boss now and I must listen to what he said. What happened for me is that I became involved in a deep healing process. Within a short time they asked me to speak for the consciousness of all souls by being part of this etheric temple they wanted to erect to help not only lost souls of 9-11 but all souls that leave the physical plane. He told me they planned it to be a place in which they would meet the Higher Beings of Light and learn about their own soul’s development, and deep healing would occur for these souls. Since I was always one that wanted to take care of the ‘many’, my soul could not say “No”. I agreed. Since that time, with the work that Dearest Meleriessee brought forth of the beautiful Masters and Beings of Light sharing their teachings each week, I was able to grow into a higher part of myself. My lower self became healed; I accept elements I needed but the ones that were holding me back dissipated into the Light. I have seen many souls come into the temple. Some of them are reticent at first, but with the work of the angels, the masters, and the Creative Source of Light that we are, the healing takes place. I love the fact that no one is allowed in the temple unless they are ready to surrender the lower frequencies that have occurred for them in the Earthplane. I have also seen souls go onto their journeys in a higher plane of existence and some of them have chosen to return to Earth although that represents a minority of individuals. I have experienced how the energies of this temple not only reside in this higher dimension but it filters down through the lower dimensions into the Earth. I do believe that it is helping GAIA move into a higher position of grounding the Light within her. I also believe that we are helping so many more souls than possibly could have been achieved without this magnificent temple of light. I want to reiterate how important it is for every soul to connect with these energies of Light. I know that each of you as Lightworkers or Starseeds have a big job to do, and it is important to reflect this light into your own Being. I also know how much dysfunction is still occurring on the planet, which creates many challenges for all of you. I need to share that doing this work on these levels is what is most important to heal our emotions of the past. On this day of September 11th and continuing throughout the days ahead, I ask each of you to take a portion of what I share and bring it into yourself. I know many people are still so very angry about what occurred. They want to know who and why; their purpose is to be able to punish the people that were behind this terrible act. Let us look and see the good that has come out of it. I believe it has helped people especially in New York City to look within their hearts to help each other through the pain of it all. We should never forget what happened, but I believe the healing must go into deeper levels of existence. Otherwise, the people that are left cannot heal through this situation. I know I have a purpose that is aligned to the life I had on the Earth, but it represents so much more to many individuals. Every time I see a soul coming into the temple, or any of you that meditate within the temple, I cry within my heart, because that is the true healing that I see. We don’t have to hold onto the hate, but to allow that anger to take us into a deeper part of ourselves. This is what I have done within my existence at this time, and I am ever so grateful for the journey I have embarked upon. Let us connect with each other from my Heart, the Heart of the Temple, the Heart of the Ascended Light Beings, and all who visit this temple, to all of the people on the Earth. You are the ones that have the most difficult task of upholding this light, but we truly want to help you. So today and this week forward, the Clarion Temple of Oneness, will ignite its energetic essence unto each person that choose to open their heart. As you open your Heart, it will go to others around you. Let us not think about the pain for what we have all endured, but let us know think about the healing that is occurring within the planet. We are all healing together, United as One. The division occurred but let us know fully accept Oneness of our Hearts Together. The temple is open for you to visit in your meditations, your sleep state or just by asking to connect with this essence. This is the Gift I want to share with each of you. I thank you for your continued efforts especially the ones that join us in the Clarion Temple each week. The Clarion Call has been sent out around the Universe for Love to Prevail upon the Earth. Speaking from my Heart to each of you, I am deeply honored that I can look at this day in the awe of what we are trying to achieve, bringing forth such love in a way that nothing can stop it from happening ~ to bring Peace and Oneness to this Earth. 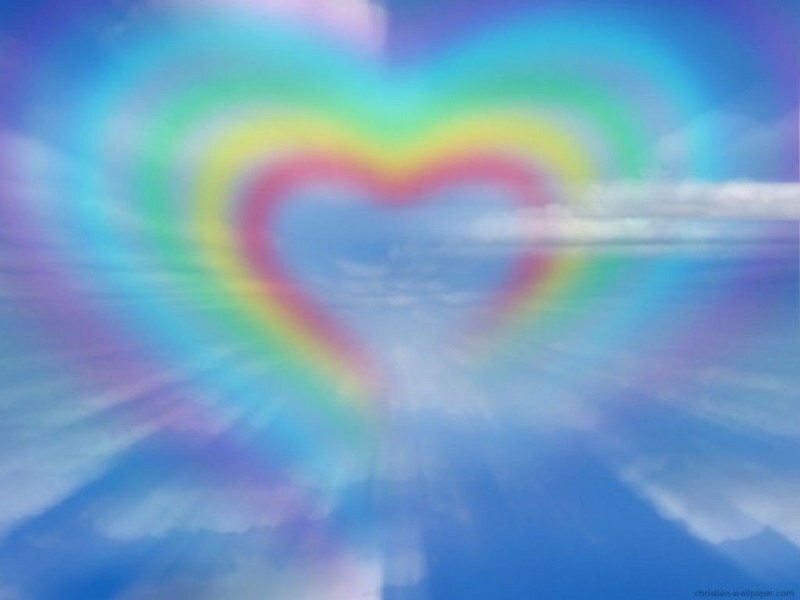 We have a special video that brings forth the Heart Energies using the Cosmic Heart Meditation. It will help to bring forth the Heart Essence and then it can be expanded to others. We hope that take time to listen and allow your heart to be expanded into the core of Gaia on this day by clicking the link above. 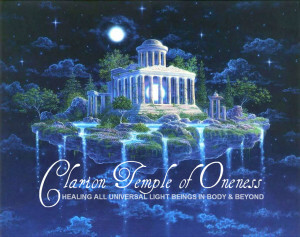 The Clarion Temple of Oneness is a guided journey and meditation with teachings from the Ascended Beings of Light; it is held on Monday evenings. You can receive the meditations via download through our new program, Walking Terra Christa Partner Members. To receive more information, please click on the link. As I awoke this morning, I felt that there was something different in the energies. Sometimes this happens to me. I call this Shifting in Consciousness. 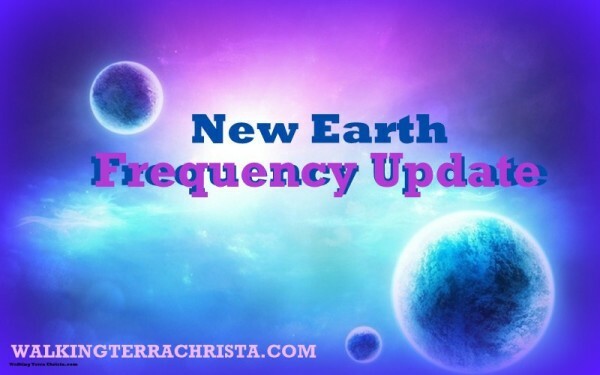 As we start to become aware of other dimensional frequencies within our consciousness, we can feel the changes that are occurring for us through our Higher Essence into the physical. It does not mean that they are grounded into the Earth but it is representative of an energetic surge, you might say. Those of you that have a sense of these energies are very special. But yet, it can be a learned behavior. It takes time to form your craft of meditation into the physical world. Practicing the breath and being in a higher state of existence truly is an art but one that can be performed by anyone. I have had this gift for most of my awakening life which represents 30 years of inner growth. I get a sense that there is a change in the air, but yet I cannot put my finger on it. Many years ago when I had a stuttering problem and I had learned to get through that issue with my meditations and work. But yet, sometimes I would start to stutter when talking to others. It was not something that the other person would notice. It was more like a stammering or hesitation. But I felt it. That was when I knew that I was going through a shift of consciousness, a new awakening, or experiencing walking through a new doorway. It just had not been mastered within the physical plane. I felt this energy this morning as I awoke. I picked up my favorite book presenting, “Walking with the Masters of the Far East” which is a story of scientists in the late 1800’s traveling through the Himalayas meeting many ascended masters as they receive teachings from these beautiful Beings. I always like to read this book in the morning or at night as it helps me to get out of my physical reality into the God Consciousness. I have been doing that practice all through my days recently. Michael and I were married a month ago and we are having a huge challenge with our finances. We are off from our teachings until next week so the flow of the funds seems to have slowed down to a trickle on a daily basis. What does one do when this happens? Well, for us, we have been working diligently with the Masters to bring forth our I AM Presence within the physical which allows the peace and love to come within our hearts. We are issuing commands that this is not the way that our life should be. In fact both of us went through some huge timelines two weeks ago to release the anger and frustration of what we have been experiencing. It has given has many lessons to understand what has occurred since our Divine Union Ceremony on the 8th of August. We have learned that the union of our wedding in the physical form has created such a huge foundation for our life that elements need to adjust in the process. What we have been doing previously will no longer work. The understanding that has arrived with the lessons is absolutely amazing. This is because we are able to stand within the power of our Highest Essence within the physical to see the changes we are going through. We now have to build a new foundation based on our union of love. It takes great patience and compassion to be able to hold this energy without interference of the lower thought forms. We have spent the last four years building this foundation in the spiritual level so that it could be grounded within the earth. We have had to raise our vibrations in so many different ways combating the lower energies. We have been tested time and time again for our perseverance and deep love of ourselves individually and together. It all made sense because both of us have been in peace even though we have had very little cash flow to even buy food. We are getting just enough of what we need and are deeply compassionate about this pathway. We are learning to be in Pure Alchemy of the Divine Essence we are. It is hard to explain this present pathway on a physical level. I have had many moments of fear and some tears, but when I come to the space of the higher consciousness I have been working with for so many years, there is only patience that comes into the mind-set. It is about initiating the Higher Mind and Higher Heart on a much deeper level. Yesterday we had rain and it felt so very refreshing. Mount Shasta has been so dry all summer with so many forest fires that it felt like a true blessing from the higher dimensions of light. What I did not realize is how much it would mean to me on this day. As I came out of our bedroom into our computer area, I stepped unto our back deck. There in front of me was the beautiful Lady Shasta covered very lightly in a white blanket of snow. I knew in that moment that the blessing had been received and that the energy I felt was being shown to me in the physical world. 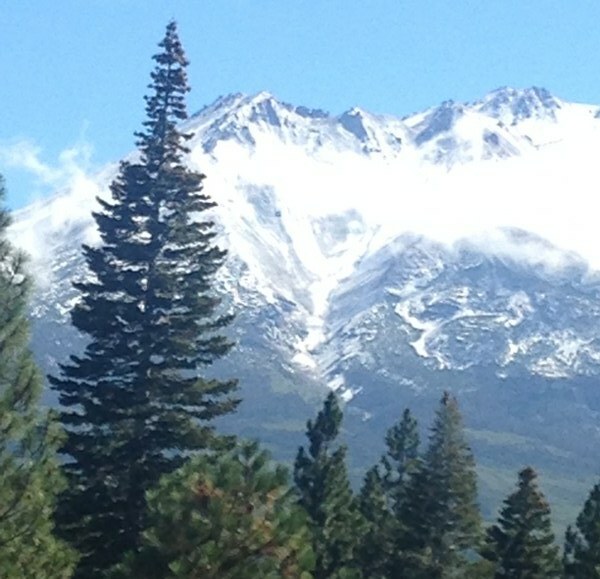 Snow represents purity to me and having the mountain covered in this beauty was a sign that movement is now upon us. I was elated and excited to see this occurrence as it truly was a gift from the Heavens that the change has now been grounded. As it becomes more concrete, then the true abundance of life can be created. I know many individuals are feeling these powerful times of transformation. It may not always be financial but many souls are choosing to leave the planet at this time. This is due to the transmutation that needs to occur in order for each of us to be transformed into the next phase of our journey. I am elated and so excited to see the change in our physical world today. I never doubt my feelings, as that is what I do best, is to be a messenger of many worlds. Sometimes it has to do with my own world and what I am experiencing. I believe that the intensity of the Super Moon has allowed each of us to be better within ourselves, to go to deeper levels, and to have the understanding that the transition of what we are experiencing is most important to the development of our Inner Self within the Outer Self. I hope that each of you can feel the same, as I do believe the darkness that we have been encased with for eons of time is lightening within our experiences. Go to that space of your breath and your Higher Self to find the peace that is ready to enfold within you. Happy Magical Day to Each of you.